If there's one aspect of my life as a mother that sends me into a wild panic more than any other, it's those times when my children are poorly. As someone who suffers with health anxiety, even just the slightest tummy bug can be enough to really worry me. Because in my head it's always more than the symptoms would suggest...It's always reason to really worry. Having had 3 children in the space of 3 years, all of whom are still under the age of 5, you can probably imagine how many sleepless nights there've been spent in a state of parental panic at the cribside of whoever is feeling under the weather that night...sometimes running between all 3. 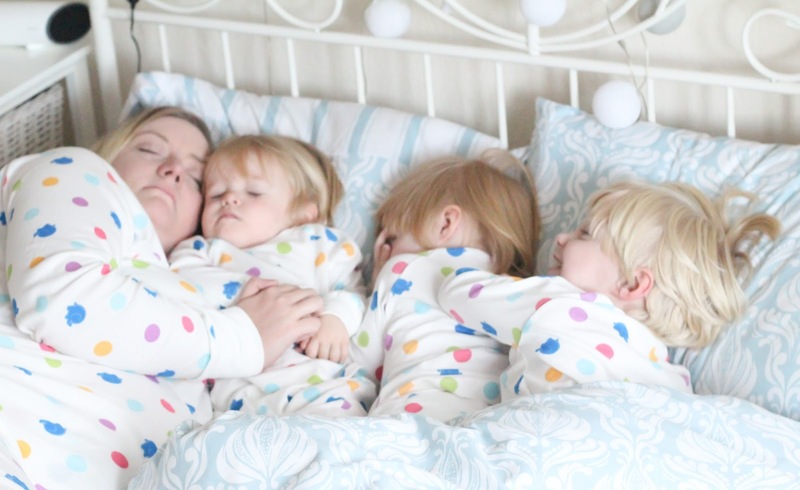 Over the years, I've come to realise that I sleep far easier and worry far less if I can satisfy the niggling worries that swim around my head when my babies are poorly...the main one being "Is there temperature ok?" Although other symptoms are of course important to keep an eye on too, it's monitoring the boys temperatures that I tend to focus on and worry most about....because I can't stand the thought of a spike in temperature causing a convulsion. So I feel much calmer if I can easily keep a check on it, and take steps to lower it if need be. We've gone through endless different brands of thermometers over the past 4 years, and every one we buy I always find myself saying "This would be great, but I wish it had this feature..." There seems to always be something missing. 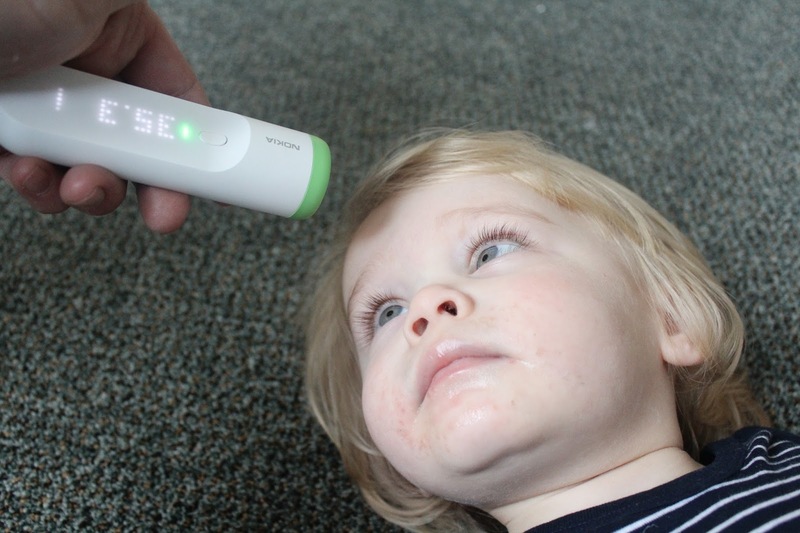 For the first year or so we used a thermometer that needed to be inserted into the ear, which would always wake the child up. Then we switched to a contactless one, but it didn't have a light up screen so it was impossible to read in the dark....meaning lights needed to go on, meaning the child would be woken up. 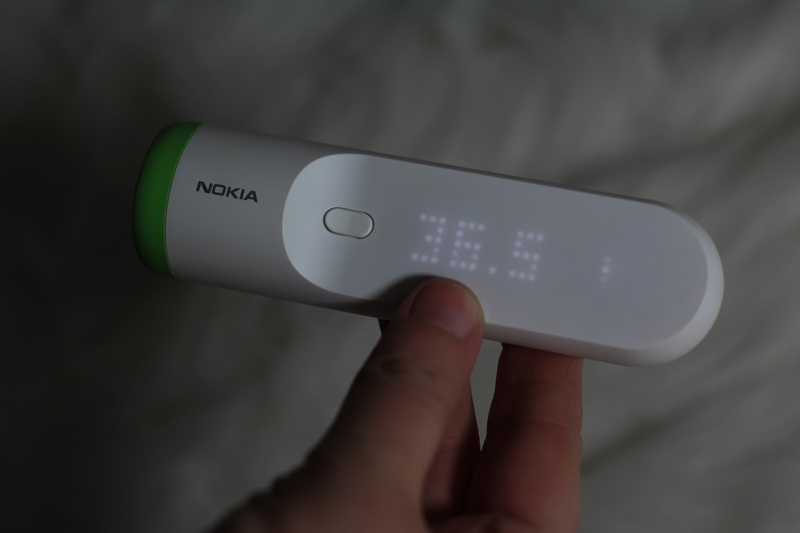 For the past few weeks we've been using a thermometer totally unlike anything we've used before - the Nokia Thermo. This is a temporal thermometer that works using Hotspot Sensor Technology which is completely non-invasive and contactless...it works by simply scanning the device across the forehead at a 1cm distance from the skin. The readings are delivered in seconds, in a way that is clear and easy to read even in the dark. The reading is also displayed alongside a colour code, which tells you at a glance whether or not the child has a low or high fever. The device works with the corresponding Nokia Health Mate app, and when setting it up (which is incredibly straight forward and fast to do with clear and concise step-by-step instructions) you are able to enter details for all of your family members (Up to 8 people), including their ages, heights and weights which means that the app can better analyse the readings. When you take a reading, it is sent to the Nokia Health Mate app automatically via wi-fi if you opted to set it up this way and you can then assign the reading to the correct member of the family. This means that you have a record of their past readings at a glance, which saves trying to scribble it all down on a piece of paper or remember what each reading was incase you end up needing to relay the information to a Dr! 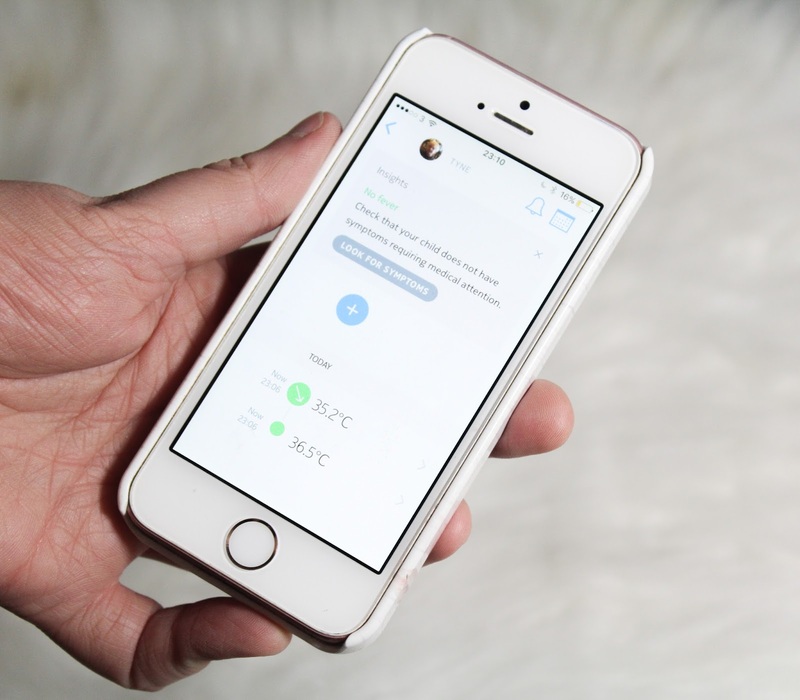 The app also advice on managing a fever, and asks you to input any additional symptoms your child has to better tailor this too...a feature I think is very useful. The Nokia Thermo comes with batteries included and states it has up to 2 years battery life, it is iOS and Android compatible, and is fully CE compliant. 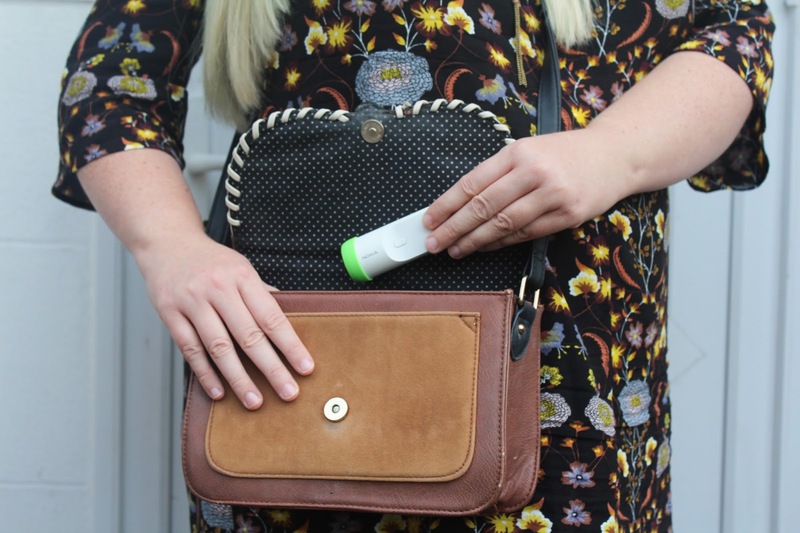 What I love about the Thermo is that it's so quick and easy to use, offers not only results but help and advice too, and it's also very lightweight and compact too making it easy to pop into my purse and take out with us incase we need it. As a family who travels a lot, this is incredibly handy. I also love that it's so non-invasive too, the children don't need to be bothered with being poked and prodded when they're feeling under the weather - just a quick swipe close to the forehead and the job is done. As simple as that! I highly recommend the Nokia Thermo for any parents who want fast and accurate results and an easy way to record them, with minimal fuss involved.